Cape Town is in for a considerable period of slower house price growth - until affordability has meaningfully improved, John Loos, household and property sector strategist at FNB, told Fin24 on Tuesday. In his view, the current trend of slowing house price growth in the Cape Town metro largely has largely been driven by some years of significant deterioration in housing affordability. The trend of slowing house price growth has now even spread to more affordable residential areas. At the same time, Loos says despite house price growth having slowed down, Cape Town is still the most expensive city in SA and will probably retain this position in the long term. This is despite Gauteng offering higher salaries, and due to Cape Town's geography creating a greater scarcity of land. "House price growth in Cape Town had to slow down. When a market gets as hot as the huge house price inflation a year or two ago, you will find a certain element of speculation, of people trying to make huge capital gains," Loos told Fin24. "Sellers get an idea in their heads that house price growth is massive and then - often after price growth has dropped - they still have it in their heads that their property must be worth more." In the second quarter of 2018, Cape Town’s estimated average house price growth rate was 8.7% year-on-year (y/y). This was the 8th consecutive quarter of a slowing house price growth rate from a 10-year revised high of 15.4% recorded in the 2nd quarter of 2016, according to the FNB 2nd quarter 2018 City of Cape Town Sub-Regional House Price Indices. Furthermore, 9 out of 12 sub regions in the metro have experienced slowing y/y house price growth in the second quarter of 2018. 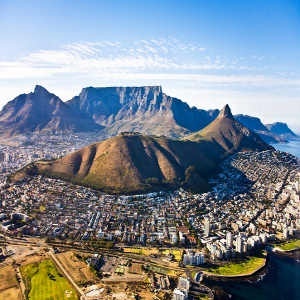 Loos told Fin24 that the only regions in the Cape Town metro that did not show slowing house price growth were the Helderberg region (Somerset West; Strand; Gordons Bay); the suburbs just east of the CBD (Woodstock; Salt River; Pinelands); and the Cape Flats. The most expensive sub-region - the Atlantic Seaboard - has seen average house price growth slow the most sharply off the highest base - from a revised multi-year high of 27.7% y/y in the final quarter of 2016 to 1.9% by the 2nd quarter of 2018. It now has the slowest price growth of all the regions in the metro. The City Bowl has gone from its revised multi-year y/y growth high of 23.9% in the 2nd quarter of 2016 to 9.7% by the 2nd quarter of 2018. The Southern Suburbs - also regarded as one of the three most expensive sub-regions in the city - saw further slowdown from 8.6% in the prior quarter to 7.4% in the 2nd quarter of 2018. This is after it reached a multi-year high of 15.9% in the 2nd quarter of 2015. The Western Seaboard sub-region (including Blouberg, Milnerton and Melkbosstrand) saw a slowing in y/y price growth - from 14.3% in the 3rd quarter of 2017 to 10.2% by the 2nd quarter of 2018. The sub-region around Bellville and Parow in the northern suburbs saw price growth slow from 11.9% y/y in the final quarter of 2017 to 11.2% in the 2nd quarter of 2018. The Durbanville-Kraaifontein-Brackenfell sub-region also started to slow slightly, from 10.1% growth in the 1st quarter of 2018 to 9.9% in the 2nd quarter. Loos believes the drought may have had some cooling impact on the Cape Town housing market, due to its negative impact on the Western Cape economy, but he does not see the recent rains in the Cape reversing the slowing down trend in the near-term. "My view has always been that, with or without the drought, house price growth in Cape Town would cool off. It is unrealistic to expect house prices to continue growing at the pace they did," Loos told Fin24. "It is about affordability. Ultimately house prices just become too expensive as it outgrows salaries and making even some 'aspirant migrants' think twice." The FNB Estate Agent Survey shows that first time home buyers have battled to enter Cape Town’s housing market in recent years. The level of first time buying in the region (8.57%) is already significantly lower than in other metros in the country. "This slowing may also be in part due to poor home affordability in Cape Town, with other major coastal regions in South Africa offering many more affordable alternatives for aspirant 'semi-grants' to the coast from inland regions such as Gauteng," said Loos. "We remain of the opinion that Cape Town’s house price growth will continue to slow in the near term and move into a lengthy 'benign' period in line with the broader SA housing market, while incomes in the region gradually catch up with prices."